Established and first awarded in 2010 the National Leadership Award is a centrepiece of the Ukrainian Canadian Congress’ honours system. It recognizes outstanding contribution, dedication to the Ukrainian Canadian community and service to Canada and Ukraine. The National Leadership Award recognizes people and organizations in all sectors of the Ukrainian Canadian community. Their contributions are varied, yet they have all enriched the lives of others and made a difference to our community. Currently Ms. Bozhena Iwanusiw is the President of Ukrainian Canadian Social Services (UCSS) National Headquarters and the head of the “Buy a Bowl of Soup” Committee. In this role, she has been actively involved with overseeing and operating soup kitchens and food banks for the needy in Ukraine. 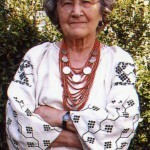 A long-time and active member of the Ukrainian Catholic Women’s League of Canada (UCWLC); together with her husband Oleh, Ms. Iwanusiw has funded several Ukrainian Catholic publications.Ms. 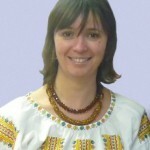 Iwanusiw has also been an active member of PLAST Ukrainian Youth Association of Canada for many years, where she continues to take on various leadership positions. In addition to receiving the Queen Diamond Jubilee, Ms. Iwanusiw was awarded the prestigious St. Volodymyr Medal by the Ukrainian World Congress in 2008 for her continued contribution and dedication to the development of the Ukrainian community throughout the years. Valentina Kuryliw, an educator with over thirty-five years of teaching history, has written curricula, authored history methodologies, and prepared teaching materials both in Canada and Ukraine. Presently, she is the Chair of the National Holodomor Education Committee of the Ukrainian Canadian Congress, working to incorporate the Holodomor into history and social studies courses at the high school level across Canada since 2009. She is also the Director of Education, of the Holodomor Research and Education Consortium (HREC) of the Canadian Institute of Ukrainian Studies at the University of Alberta (2013). She authored a workbook on the Holodomor: “Holodomor in Ukraine, the Genocidal Famine 1932-1933, Learning Materials for Teachers and Students” which is being published by CIUS Press Jan. 2014; It consists of a collection of articles, primary sources, eyewitness reports for teachers and students, along with extensive lesson plans using critical and historical thinking skills, as well as a resource list for educators. She compiled the “Holodomor Teaching Kit” for schools, which includes, the workbook, several books, DVD and pamphlets on the Holodomor. As the newly appointed Director of Education (2013) of HREC, she organized the first Holodomor Education Conference, titled: The Holodomor and Curricula, Triumphs and Challenges, May 10-12, 2013 in Toronto which was attended by over 50 enthusiastic educators from Canada and the USA. Ms Kuryliw is the author of “Metodyka vykladannya istorii” A Methodology for Teaching History), 2nd publication, Ranok Press, Kharkiv 2008 which received the coveted hryf or recommendation of the Ministry of Education of Ukraine to be used as a text for teacher training. Valentina is also a recipient of Queen Elizabeth II Diamond Jubilee Award for her work. The UCC is pleased to award Ms. Irene Mycak the Queen Elizabeth II Diamond Jubilee Award for her work and years of service as Chair of the Ukrainian Canadian Congress (UCC) National Holodomor Awareness Committee. Irka is an active member of the National Board of Directors of UCC representing CYM Ukrainian Youth Organization of Canada.In addition, Ms. Mycak has worked tirelessly as Chair of the Communications Committee of the Ukrainian World Congress, and is a long-time member of the League of Ukrainian Canadians. An accomplished individual, Ms. Mycak holds a B.A in Communication Studies from the University of Windsor, has completed graduate course work in Marketing from York University and the Schulich School of Business and is currently pursuing a Social Media Certificate from Algonquin College of Applied Arts and Technology. Ms. Olya Sheweli has served on the Board of Directors of the Council of Ukrainian Credit Unions of Canada (CUCUC) since 1991 both as director and Vice – President, currently serves as President of CUCUC. 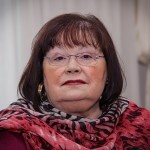 In addition Ms. Sheweli has served on the Board of Directors of the United Ukrainian Credit Union (UUCU) since 1991 and as its Chair from 2005 until its merger with the Ukrainian Credit Union Limited (UCU) in 2012.A current member of the Board of Directors of UCU Limited, Ms. Sheweli has been the President of the Ukrainian Canadian Congress Hamilton Branch since 2004. Presently, Ms. Sheweli is President of the Ukrainian Women’s Organization of Canada (OYK) and was elected in August 2013 to be the President of the World Council of Ukrainian Credit Unions. Ms. Mary Szkambara is the immediate past-president of the World Council of Ukrainian Women’s Organizations. A long-time member of the League of Ukrainian Canadian Women, Ms. Szkambara is a past president of UCC Toronto. In addition to receiving the Queen Elizabeth II Diamond Jubilee Award, Ms. Szkambara has been inducted into the Shevchenko Foundation Kobzar Fellowship in 2011 and was awarded the prestigious St. Volodymyr Medal by the Ukrainian World Congress and as the Order of Princess Olha from the President of Ukraine.As the former head of the World Federation of Ukrainian Women’s Organizations (WFUWO) from 2007-2012, Ms. Szkambara is also past Vice – President of the Ontario Advisory Council on Multiculturalism and Citizenship. As secretary of the Ukrainian Canadian Congress National, as well as the Chair of the UCC Governance Committee Ms. Hania Szyptur is also a member of the Board of Directors of the Canada Ukraine Foundation (CUF).Recently, Ms. Szyptur assumed the role as head of Mission Canada – Ukraine 2012 long-term observer coordinator. As a dedicated volunteer in the Ukrainian Community, Ms. Szyptur has worked in the areas of youth leadership and governance. Currently Ms. Szyptur is the President of the Ukrainian Youth Association of Canada PLAST’s National Council. Over the last decade, Ms. Szyptur has also volunteered in Ukraine both with PLAST and with Help Us Help Children focusing on capacity building and change management activities. Professionally Ms. Szyptur worked for the Government of Ontario focusing on governance and accountability. Currently Ms. Szyptur is a management consultant providing organizational development, program evaluation and accountability expertise to the public and private sectors, holding a B.Sc. and MBA degrees from the University of Toronto. Ms. Zakydalsky has been a writer and correspondent for over 20 years for the Ukrainian Weekly, Homin Ukrainy, Svoboda Ukrainian Daily, and the New Pathway, covering important issues of interest to the Ukrainian community. 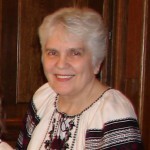 Spending much of her adult life trying to foster the spirit of respect for Ukrainian heritage, traditions, and history in Ukrainian youth, Ms. Zakydalsky has taught Ukrainian School courses; organized Canadian-Ukrainian youth exchanges; played an important role in the restoration of PLAST in Ukraine; and been an active member of PLAST Youth Association of Canada. Ms. Zakydalsky has authored, edited, and published multiple publications. She holds a B.A. (McGill) and an M.A. in political science (London School of Economics). The UCC is proud to acknowledge Mr. Omelan Chabursky’s contributions to the Ukrainian Canadian community by awarding him the UCC Leadership Award.Immigrating to Canada in 1948, Mr. Chabursky studied at the University of Toronto, receiving his Bachelor of Science in Pharmacy in 1954. In 1962, Mr. Chabursky opened The West End Medical Pharmacy and has successfully run it for over 50 years. 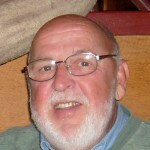 A long-time member of PLAST, Mr. Chabursky volunteered many years as a scout leader and has developed numerous process and administrative applications dedicated to both Organizational Development and Child development. Mr. Chabursky was also the inaugural head of the Ukrainian Canadian Congress Ontario Provincial Council. Mr. Chabursky is also a member of the St. Demetrius Ukrainian Catholic Parish in Toronto. The UCC proudly presents Mr. Walter Chewchuk with the UCC Leadership Award for his dedicated work with the So – Use Ukrainian Credit Union and his commitment to the St. Volodymyr Ukrainian Orthodox Cathedral in Toronto.For over thirty years, Mr. Chewchuk has been involved with the So-Use Credit Union, first on the Board of Directors and Secretary and then as President from the years of 1985 – 2010. In addition, Mr. Chewchuk has actively participated as Principal of St. Volodymr’s Ukrainian School, been a member of the Board of Directors of the Community Trust Company. Mr. Chewchuk played a fundamental role in cultivating the success of the Canadian Bandurist Capella as President of the Capella’s Board of Directors. Mr. Chewchuk has been a long-time member of the St. Volodymyr Cathedral, actively participating as a member of the Church Council since 1972, later assuming the roles of Chairman of the Poltava Pavillion at St. Vladimir Institute in 1984 and Treasurer in 1982. Currently, Mr. Chewchuk continues his dedicated service to St. Volodymyr Cathedral through his actions as President of the Church Council, a position he has held since 1998. The UCC is pleased to present Ms. Olya Grod with the UCC Leadership Award for her work and dedicated service to the Ukrainian community. Olya has been Executive Director of the Ukrainian National Federation since 2009.A tireless volunteer and community leader, Olya has been involved in numerous International Election Observation missions to Ukraine, and sits on the Board of the Canadian First World War Internment Council. Olya has been recognized by the Province of Ontario with its Volunteer Service Award. Ms. Grod’s volunteerism extends to being a fundamental key figure in the success of the Toronto Ukrainian Festival and currently serves as Vice President and Board Member. The UCC is pleased to present the UCC Leadership Award to Mrs. Olya Grod for her work and dedication to the Ukrainian Canadian community. The UCC is pleased to award Mr. John Iwaniura, the UCC Leadership Award for his work with the Canada – Ukraine Chamber of Commerce.In 1997 Mr. Iwaniura co-founded Caravan Logistics, Inc., an Oakville, Ontario-based carrier with divisions in Quebec and Manitoba, which has since expanded to over a $60 million dollar a year business, and sits as one of the Top 50 carrier companies in Canada. In 2005 Mr. Iwaniura joined the Board of Directors in the Canada-Ukraine Chamber of Commerce (CUCC), and was later appointed 1st Vice President. Mr. Iwaniura’s primary focus has been on providing executive leadership and furthering the Chamber’s footprint with the goal of raising cultural awareness within the Ukrainian community across Canada. 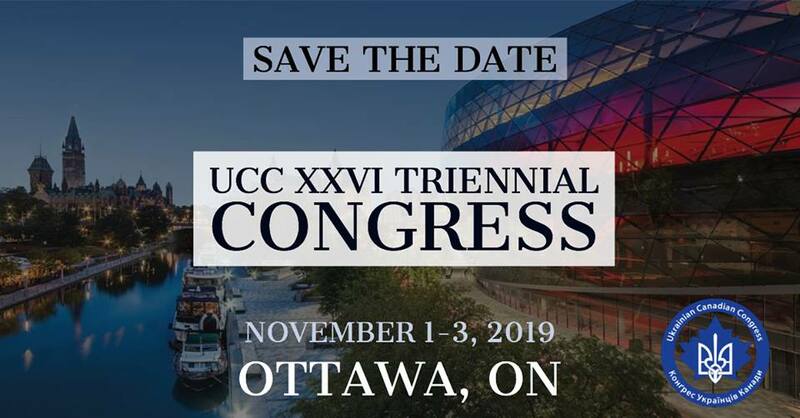 In 2010 Mr. Iwaniura was elected to Board of Directors of the Ukrainian Canadian Congress (UCC) and is a member of the Advisory Council to the Ukrainian Canadian Congress. Mr. Iwaniura has been very active philanthropically supporting many Ukrainian community organizations and events. Born in the town of Yaremche in Ivano–Frankivsk, Ms. Anna Kisil attended Lviv Polytechnic Institute. In March of 1990, Ms. Kisil moved to Canada with her husband, son and daughter where she expanded a professional practice and became involved with the Ukrainian Canadian Community.Ms. Kisil has worked actively within the Toronto Ukrainian community, having served as Director of the Canadian Ukrainian Art Foundation in Toronto and actively working with the Buduchnist Ukrainian Credit Union. Professionally, Ms. Kisil has over 24 years of business experience, owning companies such as Meest Media, and restaurants such as “Golden Lion”. She operates a business in Lviv Roslan-Pak, makers of plastic packaging for food. She is a member of the Board of UCC Toronto, Ukrainian World Congress and was head of the “Fourth Wave” International Organization of Ukrainian Communities for North America. Ms. Kisil’s business ventures and philanthropic work have earned her the Ordinance of Merit, Ukraine’s highest honour. Interested in Visual Arts from an early age and studying it at an undergraduate level, Mr. Pavlo Lopata was curator and executive director of the Ukrainian Canadian Art Foundation from 1991 to 1998. As curator he organized over 70 exhibits of many different artists from Canada, USA and Ukraine.In his own artistic practice, Mr. Lopata mastered the use of pencil, egg tempera, acrylic and oils experimenting with subjects that include portraits, Lemko churches, linear expressionism, icons and surrealist symbolism. In addition Mr. Lopata has written over 350 articles related to the arts, culture and history which have been published in periodicals, journals and newspapers. To date, over 900 of his artistic works can be found in private and museum collections in Canada, USA, Poland, Czech Republic, Slovak Republic and Ukraine. Mr. Lopata has received multiple Volunteer Service Awards from the Ukrainian Canadian Congress in 2001 and the Canadian Lemko Association in 2011. Mr. Lopata is currently on the Board of Directors of the Ukrainian Canadian Art Foundation as well as the Canadian Lemko Association. 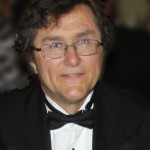 As Chair of the Canada Ukraine Foundation (CUF) and member of the National Board of Directors of the Ukrainian Canadian Congress Mr. Bohdan Onyschuk is and has been actively involved in the community through a number of leadership roles, including as President of the Ontario Provincial Council of the Ukrainian Canadian Congress (1973 – 1976). In addition, Mr. Onyschuk has also held the position as founding Chairman (1992 – 1994) and current Vice President of the Canada Ukraine Chamber of Commerce, a Canadian organization he helped establish. Mr. Onyschuk is a retired senior partner of Gowling Lafleur Henderson, Canada’s largest national law firm, and is recognized as one of the leading real estate lawyers in Canada. Mr. Onyschuk and his firm represented the Government of Ukraine in Canada on a number of trade and government matters shortly after Ukraine’s Independence, including acting as counsel to the National Bank of Ukraine in negotiating the printing of Ukraine’s currency in Canada by the Canadian Bank Note Company. Mr. Onyschuk also served on the Chamber of Independent Experts on Foreign Investment in Ukraine, a body established to advise the President of Ukraine on foreign investment matters. 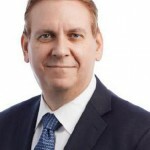 Mr. Onyschuk is a graduate of the University of Toronto with an Honours Degree in Political Science and Economics, and a Juris Doctor Degree in law. In addition to receiving the UCC Leadership Award, Mr. Onyschuk is the recipient of a number of awards including: the Order of Merit of Ukraine (presented by President Yushchenko in May 2008), the Shevchenko medal, and the International Council of Shopping Centres Trustees Distinguished Service Award. The UCC is proud to award Mr. Zenon Poticzny the UCC Leadership Award for his dedication and service to the Canada Ukraine Chamber of Commerce.Holding a Master’s degree in Engineering and an MBA from the University of Toronto, Mr. Poticzny is currently the President of Shelton Petroleum, a junior oil and gas company, and is actively engaged in exploration and development activities in Ukraine. An expert in oil sands and bitumen extraction processes, Mr. Poticzny has written several reports and notable publications. 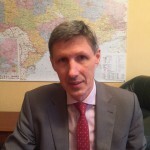 From 1991 to 1995 Mr. Poticzny held the position of Vice President of Marketing for Landford International Ltd., an international trading and real estate development company, responsible for joint venture creation and business development in Ukraine. In 2009, Mr. Poticzny was awarded the Order of Merit, Class III, from the President of Ukraine and in 2013 was re-elected as President of Canada Ukraine Chamber of Commerce and serves as Treasurer of the Ukrainian World Congress. The UCC is pleased to award Ms. Renata Roman the UCC Leadership award for her dedication to athletic development in the Ukrainian Canadian community and for her commitment and dedication to the Children of Chornobyl Canadian Fund.Renata holds a Physiotherapy degree and practices at her clinic. She has worked medically in the field with Ukrainian and Canadian athletes and was on the Ukrainian National Olympic team in 1998. 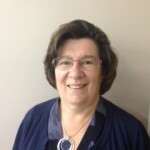 She serves as the Co- President of Children of Chornobyl Canadian Fund, is on the Board of Directors of UCC Toronto, and on the UCC National Board as the National Sports Committee Chair. She is a member of the Board of the Canada-Ukraine Chamber of Commerce and a member of Ukrainian National Federation. Currently Ms. Roman and her husband Eugene operate Rosewood Estates winery in Beamsville Ontario. 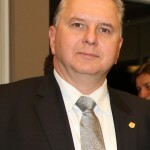 Mr. Markian Shwec has been a leader in the Ukrainian Community for 30 years, starting in Montreal where he served for many years on the Board of The Ukrainian Youth Association (CYM), eventually serving as its President.Mr. Shwec’s leadership roles extend to numerous community events while serving as the past Vice President of SUSK, past Vice President of UCC Montreal, and on the Boards of CYM National, CYM World, and UCC National. In the early 1990’s, Mr. Shwec travelled to Ukraine several times to assist fledgling democracy groups take root. Mr. Shwec has served as President of UCC Toronto, with many accomplishments including leading the initial community initiative that led to a $1.5 million, 500 observer mission during the 2004 Presidential elections in Ukraine and has participated in key leadership roles in subsequent election observer missions organized by both UCC and CANADEM. Currently, Mr. Shwec is a Finance and Strategy Executive at OpentText. He holds a Mechanical Engineering degree, an MBA, and a CMA. 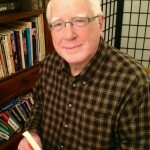 Mr. Shwec currently serves on the Boards of UCC National and UCC Toronto. The UCC Awards Mr. Orest Steciw the UCC Leadership Award for his contributions to the Ukrainian Canadian Community through his work with the League of Ukrainian Canadians (LUC).Born in Austria, Mr. Steciw began his involvement with the Ukrainian community in Canada as an activist with the McMaster University Ukrainian Students Club. Since 1980, Mr. Steciw has been an active member of the League of Ukrainian Canadians, where he has served as Chairman since 2011. 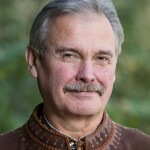 Mr. Steciw also servess as Chairman of the Ukrainian Research Institute – Ukrainica. For over three decades, Mr. Steciw has provided the Ukrainian Canadian community dedicated, consistent and selfless service at the provincial, national and international levels. Mr. Steciw was instrumental is having the Legislative Assembly of Ontario recognize the Holodomor as an act of genocide against the Ukrainian people, and was responsible for the creation and dissemination of the exhibition: “Holodomor: Genocide by Famine”, as well as information campaigns to have “Holodomor Education Week” take place in schools annually in November. Born in Kremenets, Volyn, in Ukraine Ms. Anna Trojan came to Canada in 1948 with her family and settled in St. Thomas, Ontario. After receiving her B.A and M.A in English Language and Literature from the University of Western Ontario, Ms. Trojan completed her Ph.D. in Pedagogical studies at the University of Toronto.Ms. Trojan immersed herself in the study and exploration of Ukrainian heritage and culture, publishing articles and contributing Ukrainian cultural content to Canadian school texts. In addition, she consulted on Ukrainian Canadian content for plays by Robert More. Ms. Trojan has written commentaries for historical and folk costumes for the Ukrainian Museum of Canada and worked as cultural convenor for the Ukrainian Youth organization PLAST in Toronto, organizing many displays of Ukrainian folk arts, modelling of historical and folk costumes. She has lectured extensively on Ukrainian traditions and customs. Her impressive list of community involvement roles include serving as founding member of the Ukrainian Students Club at the University of Western Ontario, Vice –Chair of the Cultural council for the Ukrainian World Congress, member of the Board of Directors of St. Volodomyr Cultural Center in Oakville, President of the Eastern Executive of the Ukrainian Women’s Association of Canadian (UWAC) and fundamental member of the Toronto Branch of the Ukrainian Canadian’s Women’s Council. The UCC is proud to recognize Ms. Luba Zaraska with a Leadership Award for her many years as a “professional volunteer” in the Ukrainian Community.Ms. Zaraska has been an active member of the UCC Toronto Fundaising Committee and has been instrumental in coordinating Ukrainian Independence Day Project celebrations in Toronto. Ms. Zaraska has also served as National board Member, and key Fundraiser for the Metropolitan Andrey Sheptytsky Institute Foundation. She has also served as President of the Toronto Branch of the Ukrainian Canadian School Board. In addition, Ms. Zaraska has been active with the Ukraine Millennium Foundation, spearheading fundraising campaigns and supporting the Canadian Ukrainian Opera Association. The UCC recognizes Ms. Zaraska for her dedication to promoting the Ukrainian education, culture and history.